Hi there! I am Rabin Shrestha WordPress enthusiast and Theme Developer from a beautiful country Nepal. Working and getting involved in WordPress has always been my hobby. And it’s not difficult to say that WordPress is my bread and butter. I was born and raised in Chitwan. Got my primary education and higher secondary education in my hometown. Soon I moved to the Capital city Kathmandu to fulfill my dream of Engineering. I joined Kantipur Engineering college to get my degree in Electronics and Communication but soon realized that this is not where I belong. It was in my college days where I got attracted towards Web Development and self-learned little bit about Joomla to create my own site. Till then I knew nothing about the web. I created my first site on Joomla on the .co.cc domain using free web host. When the site was live I felt like I was in the top of the World. This was the moment when I decided that I was going to make my career in Web. So after completing my bachelor’s degree, I preferred to work as a PHP developer and joined CatchInternet where I was introduced to WordPress. Due to my immense enthusiasm to learn new things about web I quickly picked up the basics of WordPress and built test projects from scratch using WordPress. The more I learned the more I got into it. 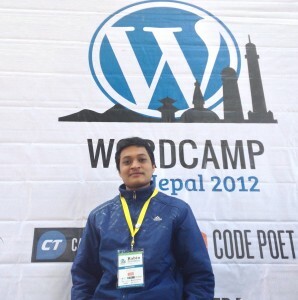 Soon I was working full time as a WordPress Developer. I was comfortable working on themes and plugins and enjoyed every bit of it. Later I joined ThemeGrill as a Co-Founder/Lead Developer.